Seaweed has got to be the most traditional and most futuristic food in the world, at the same time. It’s so interwoven into our culture and diet that we Japanese probably take it for granted, but as we sit here and wrap our onigiri (riceballs) in our nori (laver seaweed), there are real organizations out there that are researching seaweed as the answer to world hunger. By the year 2050, the world population is projected to reach 9 billion. The big question is, how are we going to feed all those people without severely affecting our environment? Agriculture employs more than 28% of the world, whether it’s directly or indirectly, so we need agriculture for our global economic health. But agriculture also accounts for a major percentage of greenhouse gases, deforestation of our jungles and uses the majority of all the freshwater we take from our rivers and lakes. I don’t expect to be around in 2050, but my kids and their kids certainly will be; so this is serious business. And being taken very seriously as a sustainable food source is the humble seaweed, familiar to many Asian countries for centuries. Today seaweed has been elevated to superfood status because of its nutritional benefits and the fact that it may save the world from starvation. And farming it requires no maintenance like weeding, fertilizing or watering; it leaves the environment cleaner by removing harmful excess nutrients from the water, and it doesn’t consume much in resources. Talk about the perfect crop! Seaweed farming began in Japan as early as 1670, so as an edible food, you might say the rest of the world is just catching up. The West has only just begun to realize its importance beyond being a wrapping for sushi. Don’t forget that seaweed is a potent source of umami as well, and world class chefs are well aware of how kombu is used to make soup stock. 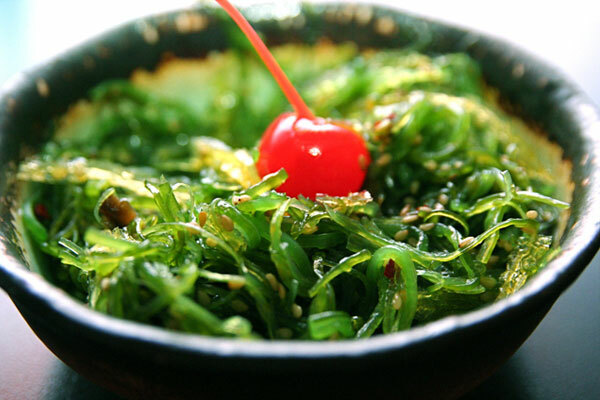 There are basically 6 types of commonly used seaweed varieties in Japanese cuisine. 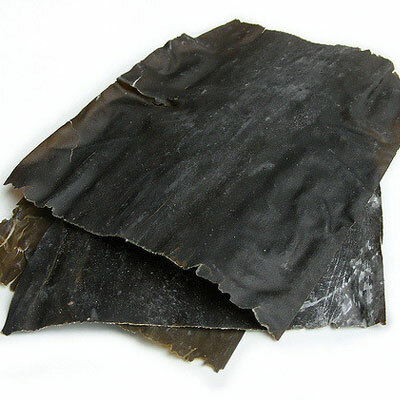 Kombu, which I just mentioned, is probably used everyday by homemakers in Japan. A kelp loaded with umami, kombu is an important ingredient in making dashi, or soup stock, especially for miso soup. The best kombu is gathered from the shallow waters off of Hokkaido; like most seaweed, it is high in calcium, iron and iodine, which the body needs. Wakame, which is more like a vegetable, is used in salads, in soups, marinated in vinegar, or simmered with other vegetables. Even though it’s bland and pretty much tasteless on its own, wakame becomes an excellent companion ingredient because of its semi-crunchy texture and its delightful, faint aroma of the sea. 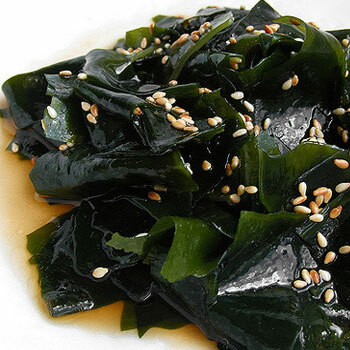 Wakame is probably the most popular type of seaweed in Japan. Nori, the seaweed that almost all Westerners know now as being edible and synonymous with sushi, is farmed and dried and cut into sheets like papermaking. You’ve also seen nori wrapped around riceballs, floating in bowls of ramen, and cut into little strips on top of cold soba (buckwheat) noodles. 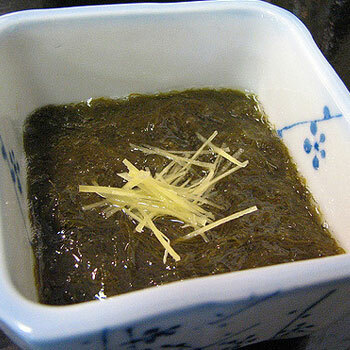 Some types are flavored with a little soy sauce and sweet mirin (rice wine), called Ajitsuke Nori, and can be eaten alone with plain white rice. You’ll see this in a classic Japanese breakfast sometimes. Aonori is another kind that you may not have noticed, used to sprinkle over yakisoba (pan-fried noodles) or okonomiyaki (savory pancakes). This green, fine-flaked nori gives these dishes an added seasoning and makes an attractive presentation. Hijiki, a dark, almost blackish sea vegetable that can be found dried in stores, has been a part of the Japanese diet for centuries. 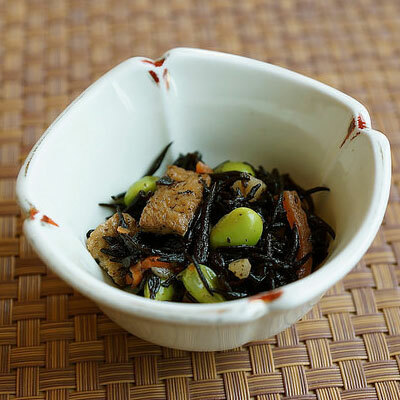 Its nutritional properties and the macrobiotic movement of the seventies made it popular and more readily available in the West, where hijiki is now recognized for its culinary uses. In Japanese cuisine, hijiki can be found as a seasoned side dish, as flavoring in mixed rice, or as an added ingredient in stir frys and simmered vegetables. Kanten, also known as agar-agar, is a popular diet food because it contains no calories, yet its fiber content helps the body as an intestinal regulator–it’s been taken seriously in obesity studies. 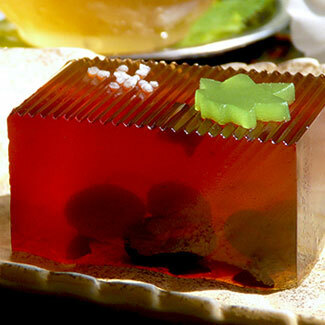 Basically a vegetable gelatin with no flavor on its own, kanten is popular in Japan for its versatility and used in sweet desserts like puddings, custards and cakes, or eaten like Jello. Mozuku, produced mainly in Okinawa and popular all over Japan, may be the most foreign to Westerners. It has a stringy, slimy quality that might need some getting used to, but the refreshing taste, especially when marinated with a sweet vinegar, can be habit forming. You might say it most resembles a seaweed that you fished right out of the ocean, but it is surprisingly mild and not as briny as you might think. Take a leap of faith and try this one. So if seaweed has the potential to save mankind from future starvation, why hasn’t it advanced beyond “ethnic food” status? Like any kind of food you haven’t grown up with, it takes time to acquire the taste. But researchers and chefs are working together these days, who really believe in the future of seaweed. After all, we’re eating vegetables that grow in dirt aren’t we? 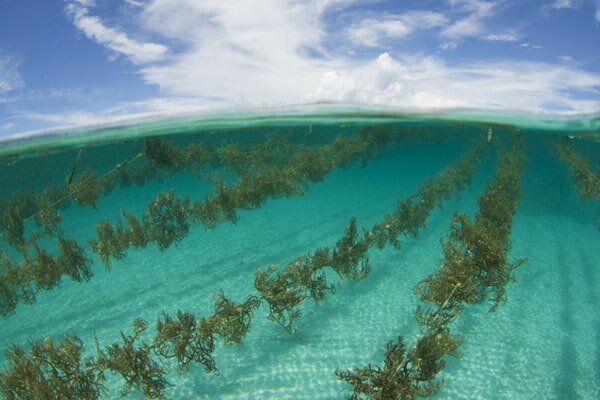 Seaweed just happens to grow in the oceans. Ramen nori by Michael T.
All over the world, cities are famous for iconic foods served on sidewalks, along canals, at festivals and in parks. With a reputation for providing excellent, cheap, fast food, street food vendors unite people across all cultures—from hot dogs in New York City to pav bhaji in Mumbai to coxinha in Sao Paolo. Japan offers a rich street food culture with many vendors, called yatai, setting up their two-wheeled carts during meal times to serve savory, sweet and flavorful dishes to customers. One of the most popular street food dishes in Japan is ramen. While most people think of ramen as a quintessentially Japanese dish, it was originally brought to Japan from China in the mid-1800s. Made of wheat flour, salt, plain water and kansui (a type of alkaline water which gives the noodles their bounciness and yellow hue), ramen noodles became a staple in Japan following their introduction and were especially ubiquitous following World War II, as wheat flour from the United States became readily available. 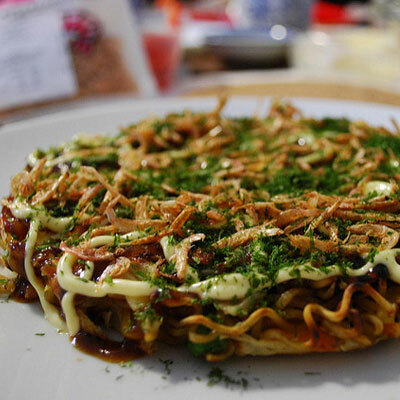 Over time, ramen specialties emerged, with regional variations being created with unique local flavors, preparation techniques and consumption habits. 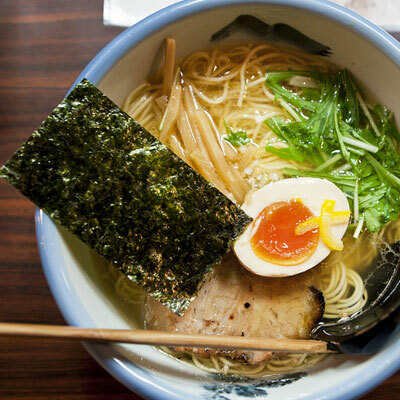 There are various types of ramen, and they are distinguished by their heaviness, the broth base, and the seasoning sauce added to the base broth to give it its distinctive flavor, or tare. The noodles and toppings also vary regionally and aficionados develop cult followings to their unique concoctions. 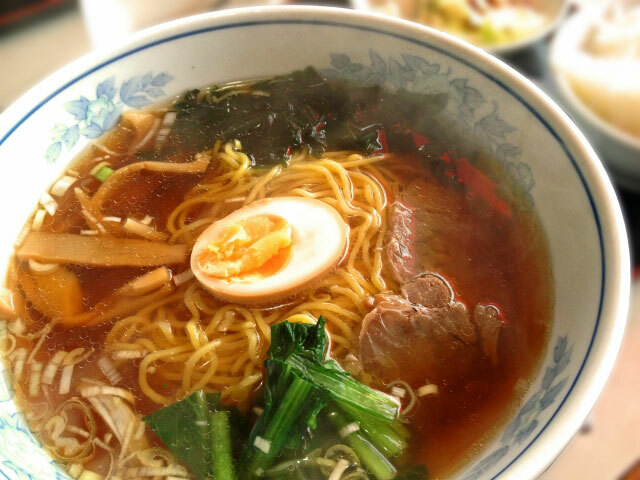 The most popular types of ramen are miso ramen, shoyu ramen and tonkotsu ramen. 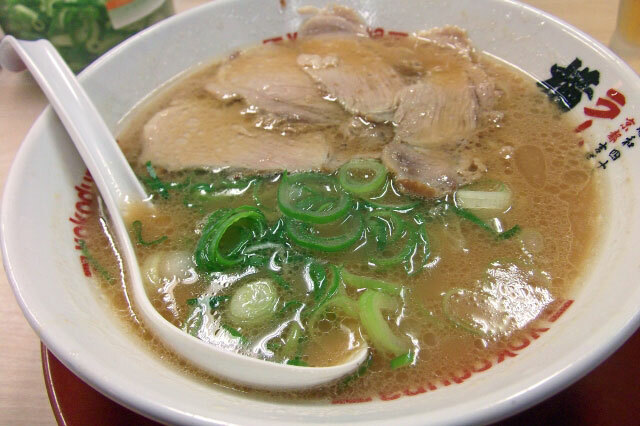 Sapporo is the birthplace of miso ramen, in which the broth base is made using fermented soybean paste. According to legend, miso ramen was created in a small ramen shop by a customer, who requested noodles in his miso and pork broth soup. 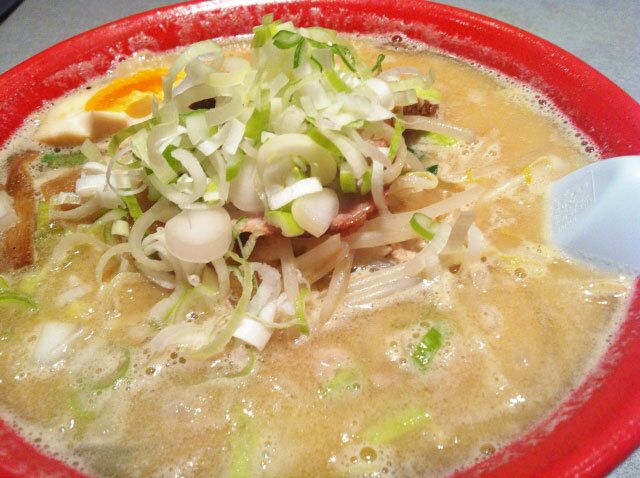 The kotteri heaviness of this ramen, because of the added fats and butter, results in an opaque broth. Add in thick noodles and toppings such as garlic, ginger, bean sprouts, bamboo shoots, corn, scallions, and minced roasted pork and you have one of the most popular forms of ramen! Shoyu ramen is one of the most traditional types of ramen, and the broth is simmered for hours, resulting in a complex blend of pork, chicken, vegetables, seaweed and dried fish. The broth is then mixed with soy sauce to complete the flavor. Shoyu ramen, somewhere in the middle of the heaviness scale, is generally served with thin, wavy noodles and topped with scallions, nori, roasted pork, naruto and bamboo shoots. Tonkotsu ramen is another type of ramen from Japan and it has recently experienced a surge in popularity in the United States. Tonkotsu ramen is made from a rich bone broth, boiled for days, to which thin straight noodles and spicy condiments such as mustard greens, ginger and even chili oil are added. Originating from the Fukuoka area, where yatai are hugely popular, tonkotsu ramen is usually served with all-you-can-eat noodles, making it extra filling and hearty. Regardless of what type of ramen becomes your favorite, this noodle soup dish is perfect for any season, for lunch or dinner, and any place where savory, soothing and filling food is on order! 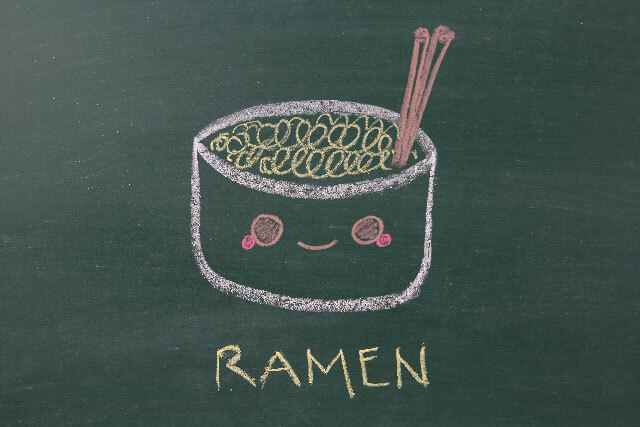 Tell us about your favorite ramen… and stay tuned for next month’s street food showcase! Japanese cooking is rich in tradition and precise technique. Whether creating obanzai-style meals at home or high-kaiseki cuisine at the finest restaurant, Japanese cooking tradition, or washoku, is based on five sets of thoughtful principles–five colors, five flavors, five senses, five methods, and five viewpoints. As we begin 2016, we’re introducing the five ingredients of Japanese cooking that serve as the foundation for these principles: sugar, salt, vinegar, soy sauce and miso. These five ingredients, known collectively as ryori sa shi su se so, are stocked in almost every Japanese kitchen pantry and are added to foods in this precise order. Herbs and other light seasonings are used to enhance the flavors of these essentials, creating light and tasty dishes. The technique for adding seasoning to food is based on the type of preparation method used for the component of the meal, which traditionally includes rice, soup, broiled fish, poultry or meat, simmered vegetables, a salad and pickles. In a simmered dish of vegetables, the ingredients are cooked in a liquid that infuses them with savory umami, enhancing and drawing out the natural taste of the vegetables. 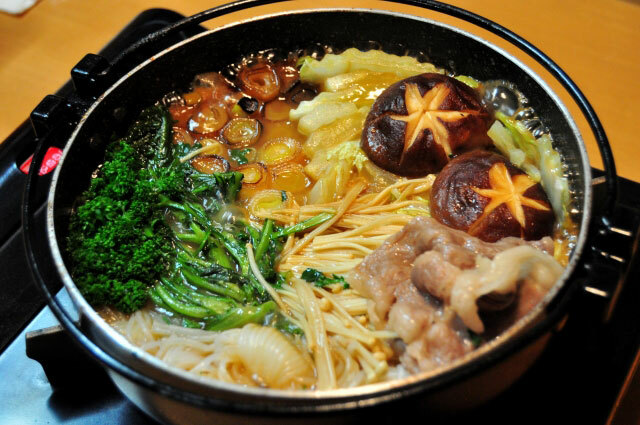 The vegetables are placed in a pot, water or stock is added, and the sa shi su se so ingredients are added one at a time, building a mixture that is rich, yet delicate. The first ingredient to be used during cooking is sugar, or sato, as its molecules are larger than those found in salt. Adding sugar before any other ingredient allows the sugar molecules to infuse the food, creating a base upon which all other flavors are balanced. 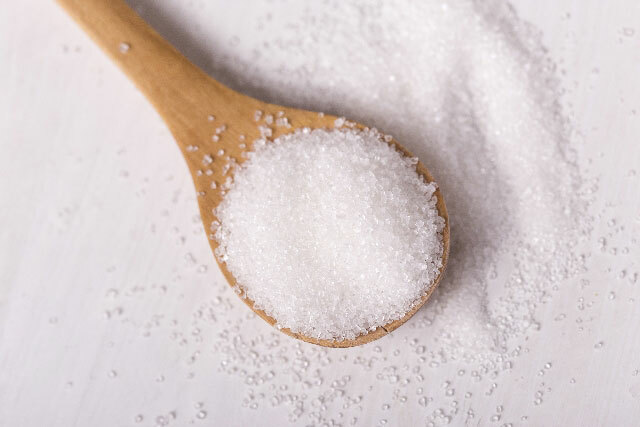 Once sugar is added to the simmering liquid, salt, or shio, is added to temper the sweetness of the sugar and to build complexity on the palate. Salt is a preservative, and prevents chlorophyll from breaking down, keeping green vegetables green during cooking. Salt begins the process of osmosis, allowing bitter liquids to drain out of ingredients. When used in the correct proportion, salt satisfies the palate. Sugar and salt are only the beginning in Japanese cooking, and with the addition of vinegar, soy sauce and miso, a Japanese dish truly blossoms. In our next post, we’ll discuss how vinegar and soy sauce are used… and how our simmered vegetables continue to develop! We’d love to hear back from you about your experiences as a beginner with Japanese cooking, so leave us a comment below. Our new food jar is here! 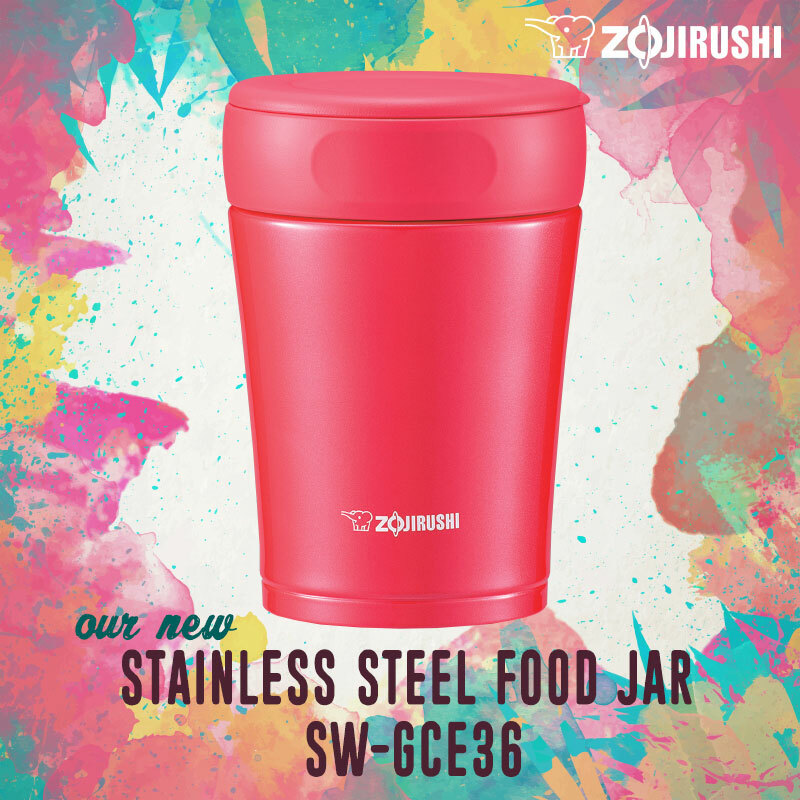 Now available in Cherry Red and Nut Brown colors, the new SW-GCE36 stainless steel food jar is vacuum-insulated to keep foods hot or cold for a long time, and an electro-polished SlickSteel® interior to repel foreign substances and prevent odors. The wide mouth and easy-to-disassemble lid make eating and cleaning simple. The lid is specially designed with your everyday use in mind: A tightly-fitted lid seal minimizes leaks, and a valve gasket mechanism allows you to release pressure from heat buildup for effortless lid removal. This food jar makes it easy to enjoy breakfast, lunch or any meal right out of the container. Oatmeal mixed with hot water becomes perfectly cooked on the way to work. Soup stays warm and delicious. The SW-GCE36 is perfect for the winter months! Rice is an integral part of human food culture–no matter where in the world you travel, rice is eaten in homes and restaurants, as main courses and as snacks, by rich and poor. Our deep relationship with rice dates back to almost 10,000 BCE, where the rice plant that we know even to this day, Oryza sativa, was domesticated from its wild progenitor, Oryza rufipogon. A grass that produces a flower and a grain, the domestication and annual planting of rice originally occurred in the Pearl River Valley region of China, along the mid-Yangtze River. Cultivation, tools and techniques spread down the Yangtze River and the Huai River over the next 2,000 years, and were shared with India, Sri Lanka, Japan, and countries surrounding the Mediterranean Sea as both trade and conflict comingled cultures. Transfer and cultivation in the Americas began during the European Age of Exploration, and in modern times, rice is grown on all continents except for Antarctica. 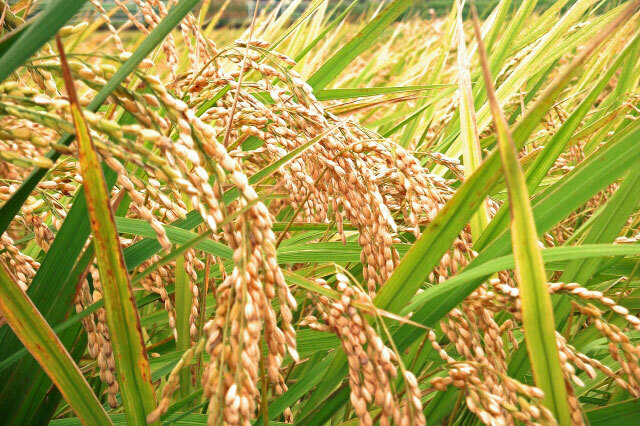 The rice plant, while hearty, only produces a crop once in areas with abundant water. In arid zones, the plant survives as a perennial, producing new tillers following harvesting. It is a small semiaquatic grass, comprised of a main stem and multiple tillers, or shoots, that produce either a flower or panicle. The plant matures in stages over 3-6 months, from the vegetative state, to the reproductive state, to the ripening state. The plant is initially germinated from the seeds of unrefined, unprocessed rice. Roots and shoots sprout from the seed, the order depending on what type of soil the seed has been planted in. Wet conditions will see the growth of the shoot first, so that oxygen can be supplied to the plant, whereas in dry conditions, roots will emerge so that the plant will have a healthy supply of water. During the vegetative state, the plant stem grows, becoming strong enough to support tillers – branches that grow from the main plant stem to bear grain–and leaves, which multiply every 3-4 days. The rice plant becomes ready to reproduce about 2 ½ months after sowing, when a panicle begins to form. The panicle, which bears the fruit (in this case, the rice grain), pushes through the leaves and as it fully emerges, produces a flower that can be pollinated. The grains ripen over the next three months, and when ready to harvest, the entire plant is picked from the soil. 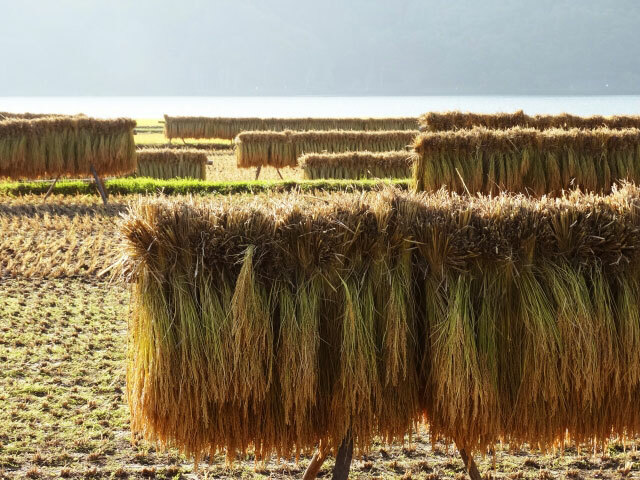 Rice plants are lightly dried in the sun following rainy conditions or after harvest, and are threshed to remove the stems and leaves from the grains. The unprocessed, unrefined grains go on to be cleaned, polished and packaged before they are used to create the many dishes human society all over the world relies on for nutrition and sustenance. 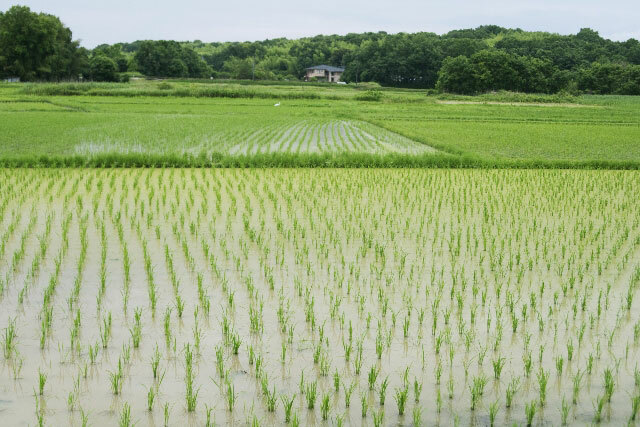 Rice is such an integral part of the Zojirushi community, that we’ve planned a series of posts about this incredibly versatile and important plant. Stay tuned for next month’s post about the types of rice grains and how rice goes from the seed of the rice plant to the grain you find in your market.